DAVAO City is providentially endowed with great and unique resources: fertile soil, rivers and streams, forest reserves where lies the recharge areas of its rich aquifers. Much of its watershed areas had been raped by loggers who made fortunes out of the mahoganies that they cut and exported. Many of them neither looked back nor share a tenth of the billions they earned from the timberlands of Davao City. Most of them were the first to erect tall buildings in Makati and Manila bearing their names. Some would now and then go back to Davao and elsewhere in Mindanao to run for elective positions and we were crazy to elect and re-elect them until they die. But the Divine Providence looks at us with kindness. 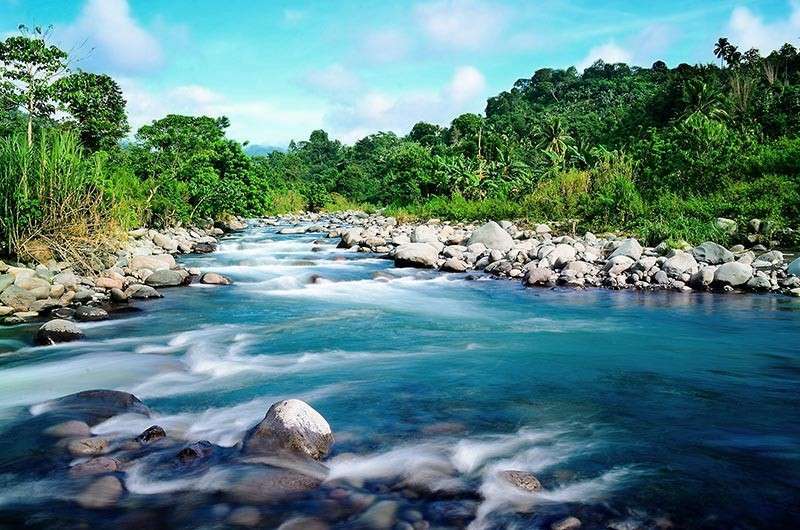 Davao’s watersheds lie next to the slopes of the majestic Mt. Apo and close to Mt. Talomo and Mt. Tipolog. These mountains are all veritable recharge areas of the city’s valuable aquifers - structures of permeable rocks where the underground water are contained and trapped. These underground layer of water-bearing porous rocks are found in an area not too far from the city and so vast one might think it is inexhaustible. Five decades ago, you can drive a 10-foot pipe in Dumoy and copious volume of sparkling water would gush out without need of a pump. Low-cost subdivisions sprouted in the area. When finally Davao City set up the Davao City Water District it started to extract underground water to supply consumers in a few subdivision dwellers and in the city center. The city population then was barely 600,000. As the city prospered it drew hundreds of migrants from nearby provinces. Fast forward to 2013 the population had doubled and many satellite growth centers prospered. The demand for water conversely increased. In that year, DCWD had 56 production wells scattered in about five barangays. Meanwhile, population increased in the northern district of the city unmindful of the fact DCWD can hardly provide adequate supply of water. The water district drilled several wells in Panacan and Cabantian barangays but the aquifers in those parts yield obnoxious-smelling water and in not a few wells the volume of water extracted is not sustainable. Hydrologists theorized that the aquifers are clayish and hardly permeable and the odor indicates that organic matters centuries back had fossilized ergo the foul smell and the yellowish hue of the water. In 2012, DCWD decided to address the problem of water shortage and the threat that the main aquifers of the city might be depleted and subsidence might occur. The Board of Directors of DCWD Chaired by Ed Bangayan, cited the case of Cebu where sea water permeated its aquifers on account of over-extraction and in Binan, Laguna where pavements collapsed. The threat on the main Davao City main aquifers is even more horryfying since the area is adjacent to the shorelines. This was brought to the attention of then City Mayor Rodrigo Duterte who promptly directed the water district to look for alternative source of water. DCWD lost no time and found Tamugan and Panigan rivers a perfect source. Tests conducted showed that the water quality of the twin rivers is the same as that of Dumoy water. Because the river beds are of boulders and stones the turbidity is not an issue. Furthermore, in the severe dry spell that occured in 2012 the water level in Tamugan and Panigan never receded. DCWD then partnered wirh Apo Agua Infrastructura Inc. a consortium of J V Angeles Construction Corporation (JCACC) and Aboitiz Ventures. The joint venture was to embark on a Bulk Water Project that would deliver at least 300-million liters of potable water daily to the present consumers of DCWD and to an added mostly residential clients in seven barangays in District 2 which were either underserved or unserved even to date. Later, I visited a barangay in Tawan-tawan where Panigan and Tamugan rivers confluence and where the proposed weir infrastructure of the the project be constructed. It is at this point where the water intake commence and then flow all the way to the treatment complex. The noonday sun added brilliance to the clear and chilly water but then again, as I stressed, it has to be treated. Am writing this piece for I keep watching the exciting developments surrounding one of Davao City’s mega-project. Even as my short stint in the DCWD board ended two years ago I imposed upon myself to do an extra mile to keep my fellow Dabawenyos informed. The bulk water project is not just about water supply, it is also about caring for the environment, conserving and rehabilitating our natural resources.